CONVENIENT PARKING FOR IROQUOIS STEEPLECHASE. Catching a rideshare or driving to the event? 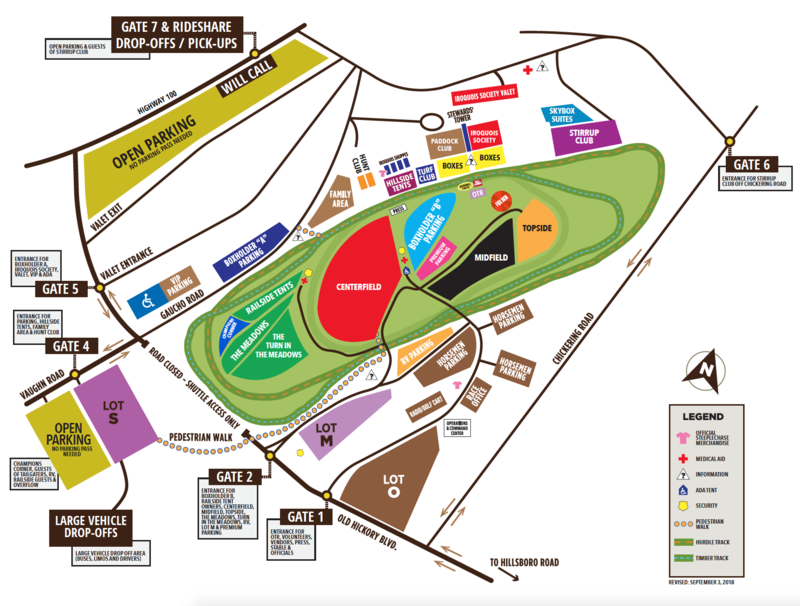 At the 78th Iroquois Steeplechase, you'll have easy access to Lyft, Ride Share and Taxi designated drop off/pick up areas. If you've purchased a parking pass, make sure you have the parking pass hangtag visible and positioned on your rearview mirror.